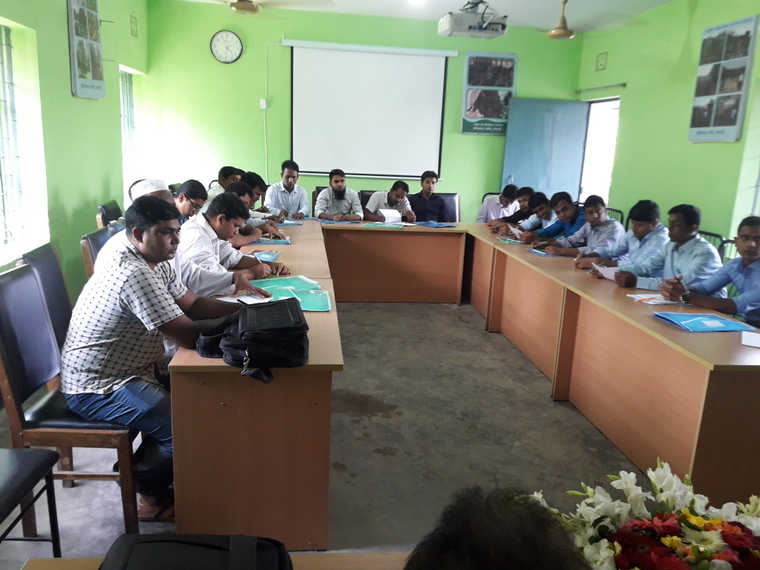 Venue: Conference Room (Gr flr), Horticulture Centre, Rajbari. 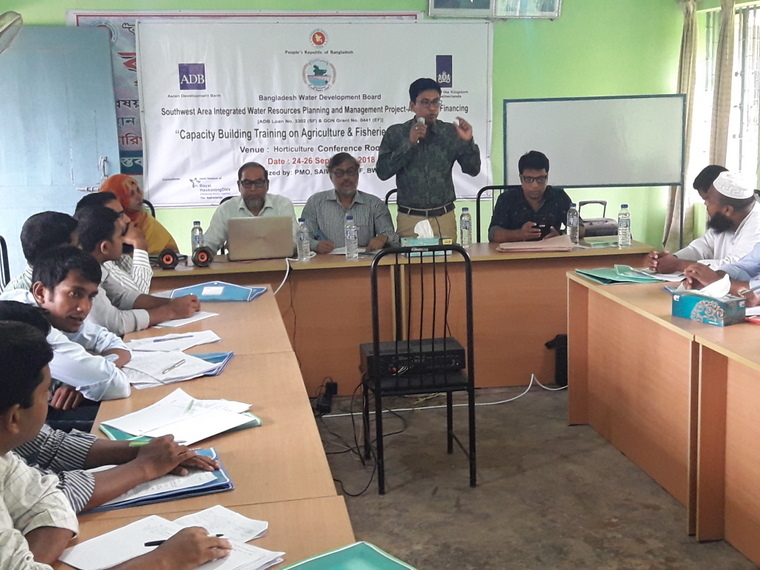 12 broad issues broken into as many as 67 sub-topics were covered under the 3-day training in 12 broad sessions, 6 each for agriculture and fisheries while out of the total 67 sub-topics, 29 were on agriculture and 38 were on fisheries development. 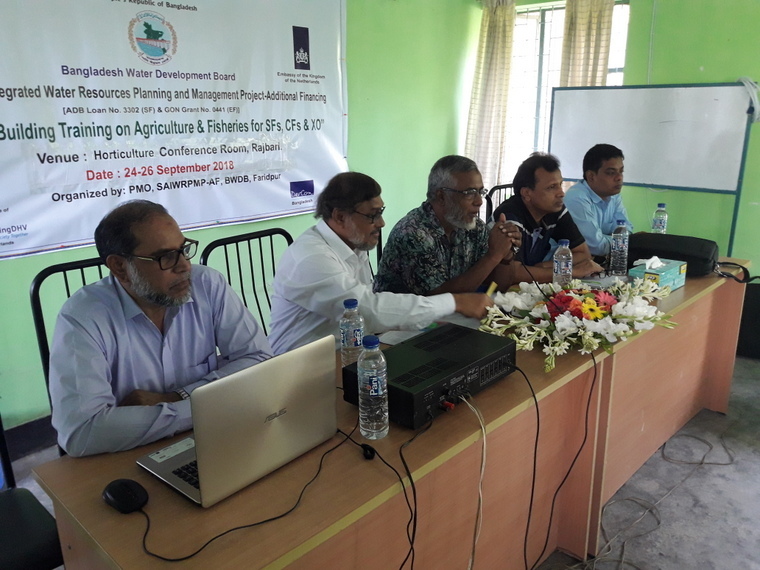 On the other hand, besides in-house speakers and presenters from the ISPMC and the PMO, who are experts in their respective subjects and areas/fields, experienced and well-informed experts from district level government departments of agriculture and fisheries (DAE and DOF) were invited to share their valuable multifarious experience and updated information gathered from home and foreign tours and sources. 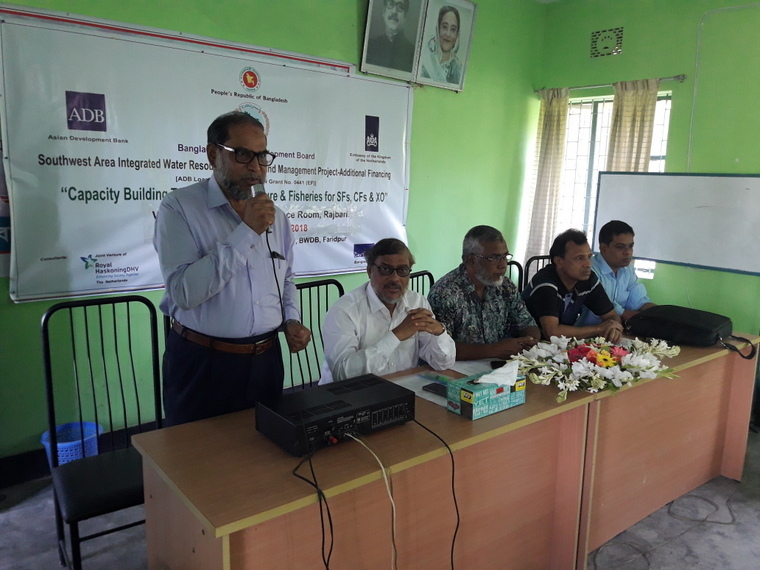 Project Director Mr. Md. 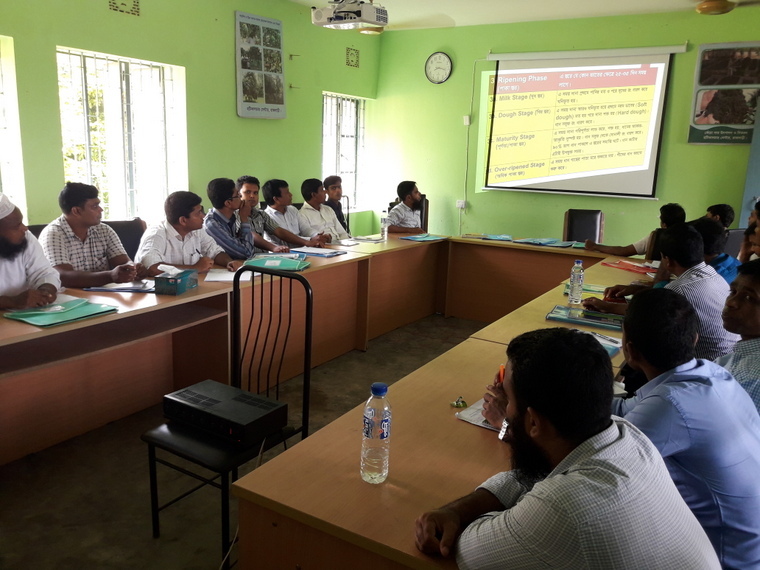 Anisul Islam played his role as the Course Coordinator while PEO Mr. Masud Karim was the Assistant Course Coordinator. 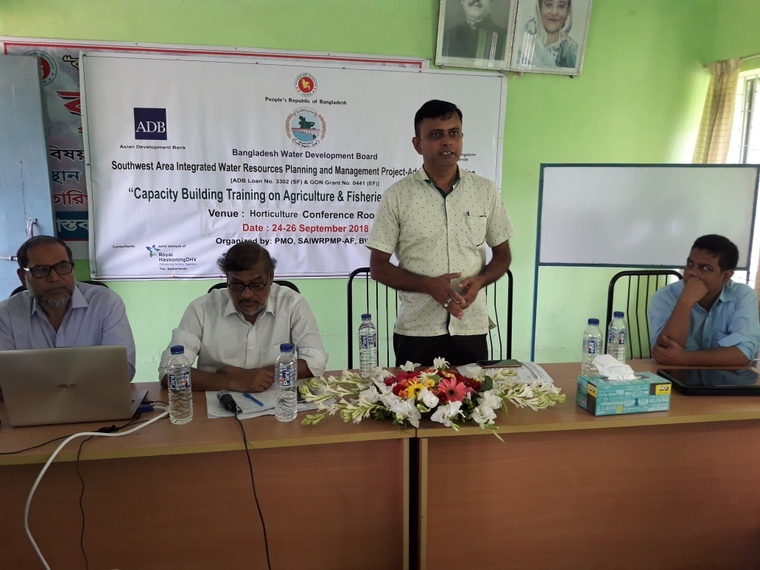 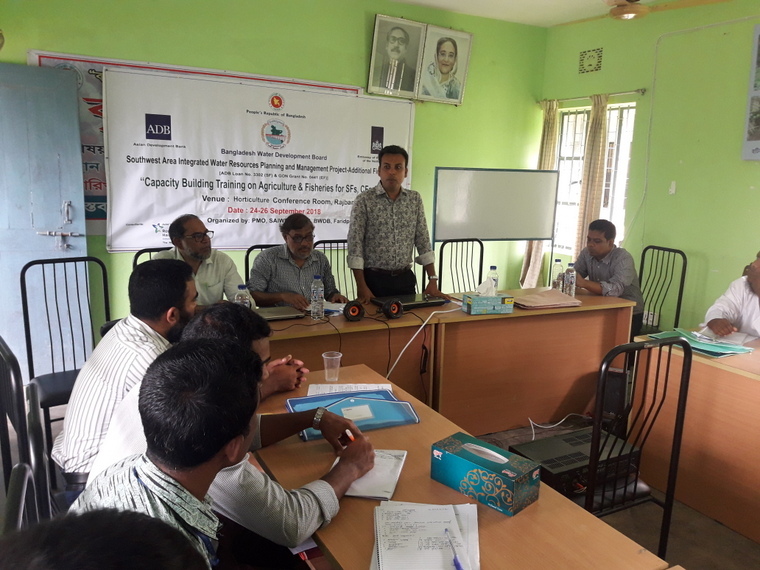 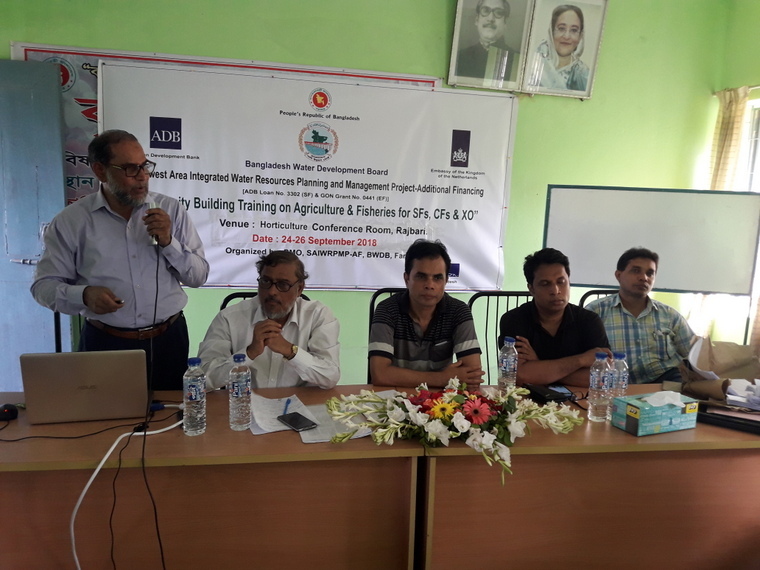 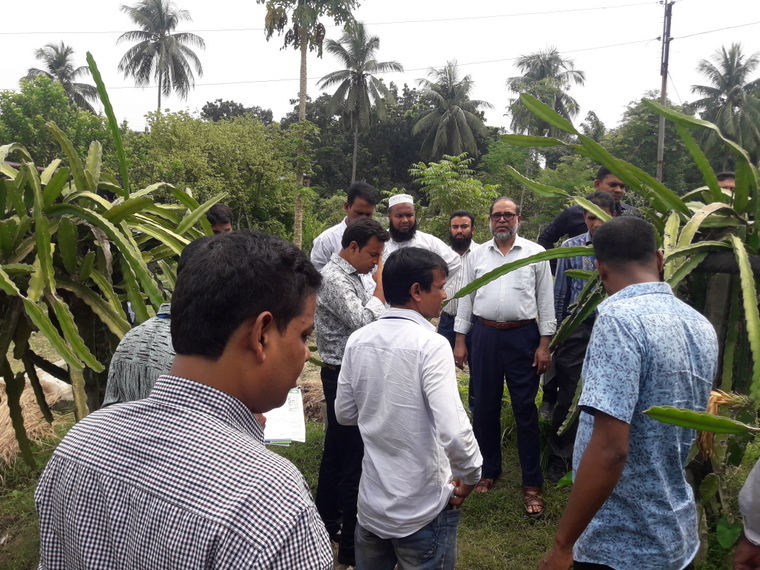 On the other hand, Agricultural Extension Specialist Mr. Md Abul Hashem and Mid-level Fisheries Specialist Mr Abdul Mannan were the Course Evaluators. 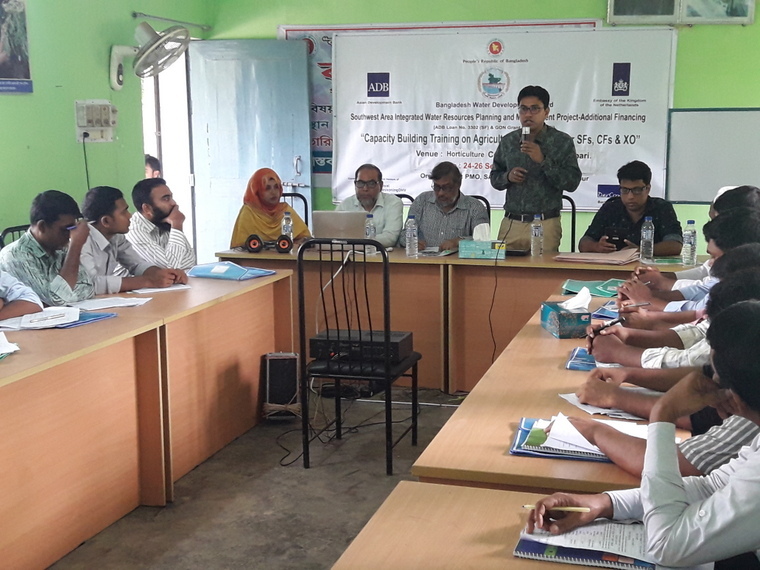 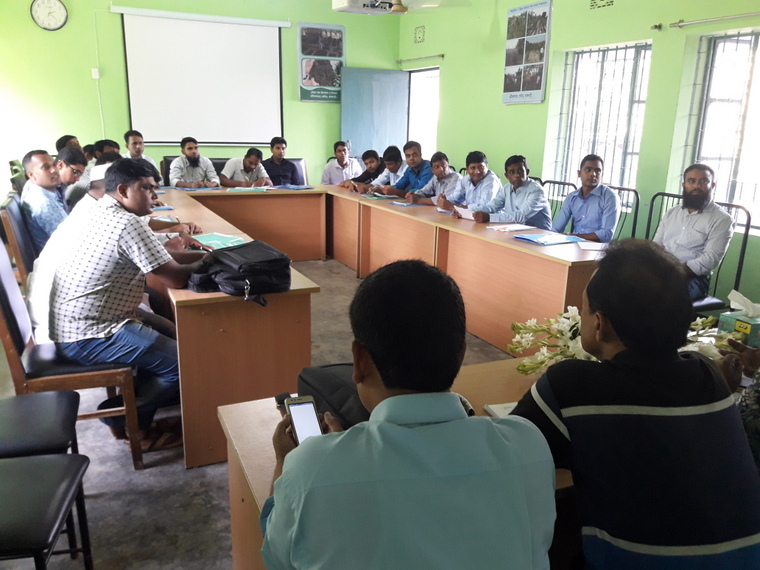 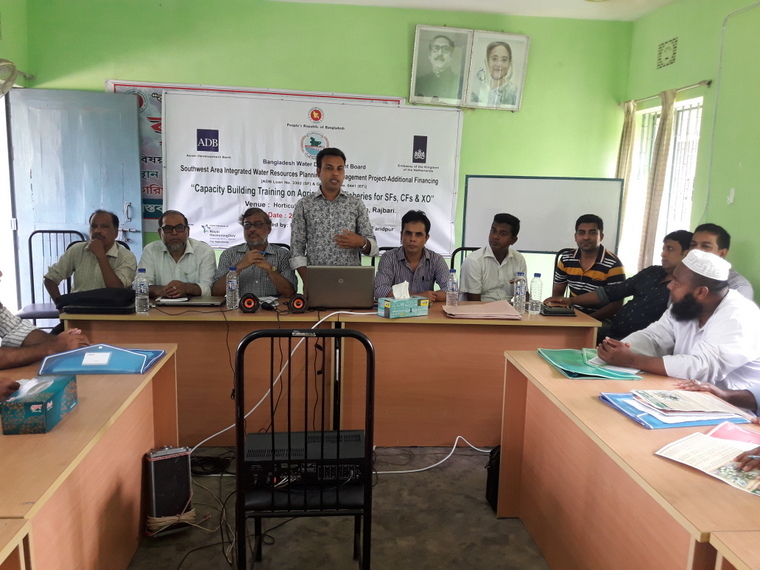 Their continuous efforts played role as the underlining sprit and motivation for successful implementation of the training courses at three different locations (Faridpur, Rajbari and Narail district headquarters). 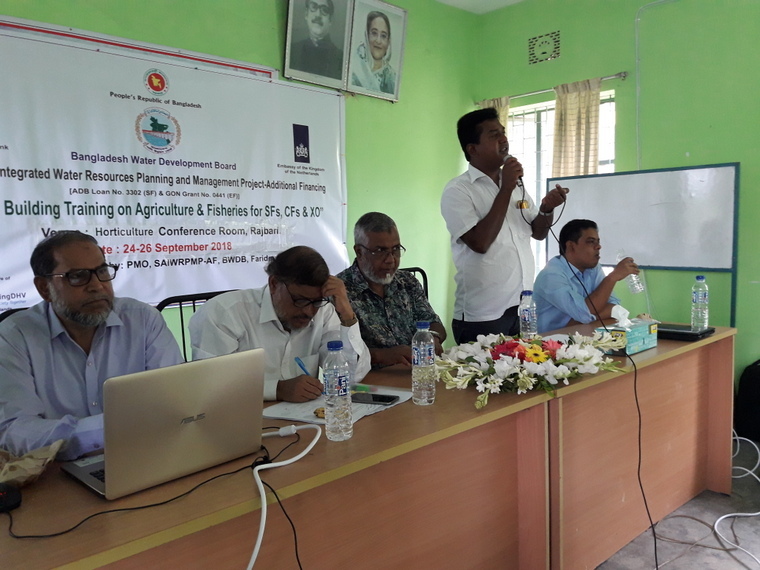 © 2016 Bangladesh Water Development Board, All Rights Reserved. 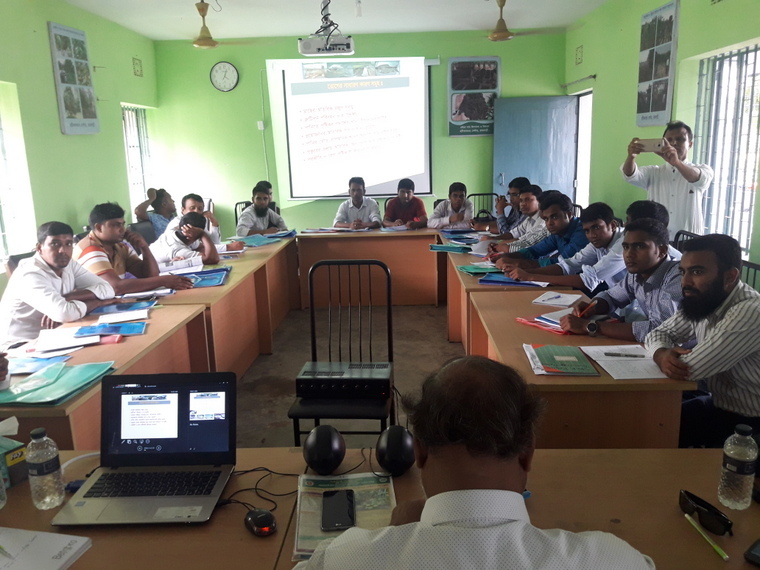 Developed & Maintenance by Urban IT Solution.